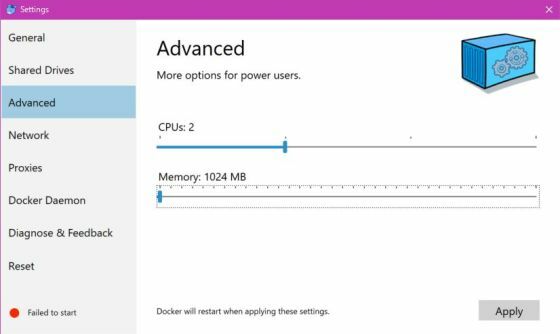 Docker for WindowsでOut of memoryが出たので再起動した - メンチカツには醤油でしょ!! You are trying to start Docker but you don't have enough memory. Free some memory or change your settings.